An ultra-sharp double-bevel introducer needle plus a medical grade lubricant allow for easier penetration and smoother travel through tissue. Preview chamber in clear sure-grip hub gives immediate indication of proper placement. 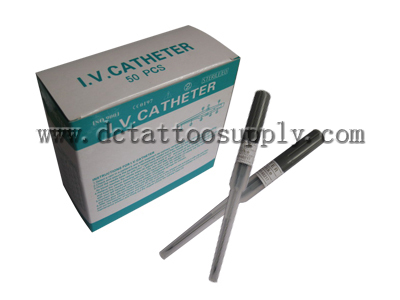 Flexible thinwall catheter with large inner diameter assures good blood flow. All this plus safe, easy-to-handle, tamper-evident packaging make I.V. Catheters a great clinical value.